Compliments Domestic Natural Gas Handbook. A complete collection of all the commercial chapters within the ViperGas Technical Manuals library, the Commercial Natural Gas Appendices contains over 230 pages of technical information in a convenient A5 format presented in a hard wearing ring binder. 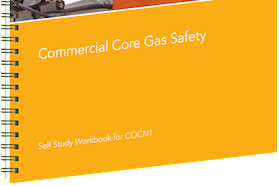 Based on the latest technical specifications from key industry organisations, the ViperGas Commercial Natural Gas Appendices is designed to support ACS training and when coupled with the ViperGas range of self-study workbooks, a route to assessment. 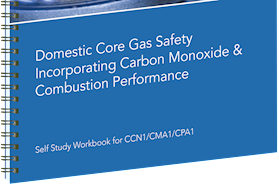 The Commercial Natural Gas Appendices is used successfully by installers, inspectors, national training organisations, councils, assessors and trainers in conjunction with the Domestic Natural Gas Handbook. The ViperGas range of self-study workbooks compliment the corresponding technical handbook. Designed to provide individuals with a route to ACS assessment, each workbook is split into easy to follow sections containing exercises, questions and answers cross referenced with the technical handbook. Progress checks are provided throughout with a final readiness assessment to determine if an adequate level of knowledge and understanding is in place before attending a training centre.